Technical experts expect continuing bull run through December barring a disastrous state election result for the Modi government. Indian markets saw the triumph of optimism over a host of negative build-ups in November. A week that had five successive sessions of advancing benchmark indices capped the month's return of the bulls. The ground situation for the markets has been fraught with uncertainties. India has been in the middle of elections in five states, considered crucial for the Narendra Modi government that will enter the election year soon. The general election is likely sometime in the middle of next year. Oil exporting nations have announced a production cut that should have driven up international crude prices. But the prices have been sliding and have dipped below the psychological level of $60 a barrel. The US sanctions on Iran after President Trump tore up the nuclear deal were expected to bite this month. Once the Iranian crude evaporated from the international market, the oil prices should have shot up. However, the huge US inventories and increasing production there have kept the price suppressed. Some energy market circles also see an agreement between Washington and Riyadh behind the soft oil in an attempt to harm Tehran. The gathering trade war clouds between the US and China are also effectively suppressing an oil uptick. The situation has lowered India's oil import bill. The Indian markets were expected to remain cautious of oil prices because of international uncertainties. But the market has ignored the uncertainties and found traction in foreign institutional investors' (FIIs) return. The oil slide has strengthened the rupee against the dollar. The stronger rupee has helped the market to stabilise further by allaying worries of further currency sell-off. Analysts still advice caution but are happy that the net flow of FII investments turned positive after months in the negative terrain. The bloodbath of September and October saw the flight of about Rs 35,000 crore from the markets, according to some estimates. November has been a different story with foreign investors returning for juicy trades. They have pumped in at least Rs 12,000 crore over the past few weeks, estimates say. Both Sensex and Nifty posted new highs and technical experts suggest they have found new supports. 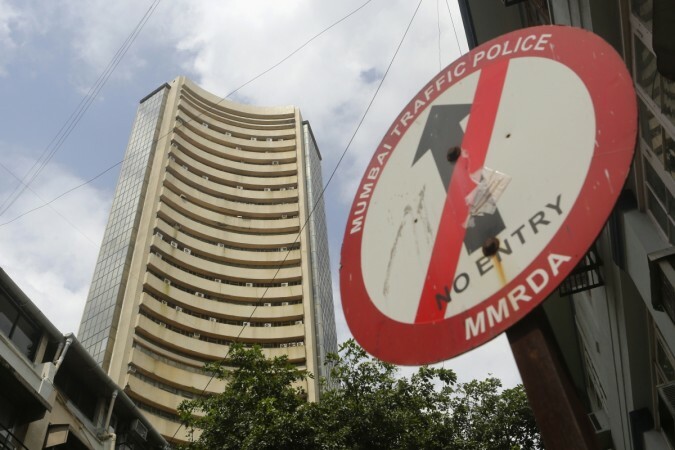 Sensex closed on Friday at 36,194 and Nifty on 10,876. Having reclaimed the support of 10,800, Nifty is on way to breach 11,000, say technical experts. Indian optimism has fond warmth in Morgan Stanley's overweight rating and HSBC's upgrading to neutral from underweight. "The market ended on a positive note after a roller-coaster effect ahead of G20 meet and expectation of oil production cut in the upcoming Opec meet," said Vinod Nair of Geojit Financial Services. "On the other hand, FIIs turned positive as fall in oil prices to bearish territory and appreciation in rupee stimulated hopes of economic growth." FIIs poured in more than Rs 12,000 crore (Debt & Equity) in Indian markets according to SEBI data on Moneycontrol. The month distinguished itself with more than average rise of midcaps and small caps, which usually are the worst hit in an uncertain market. In the S&P BSE Small Cap index, as many as 50 stocks rallied 20 per cent to 171 per cent in November, according to Money Control. Three stocks more than doubled investors' wealth in the same period. In the S&P BSE Mid Cap index, three stocks rose between 20 per cent and 40 per cent. Technical traders are happy that Sensex and Nifty regained crucial support levels during the month – the Sensex back above 36,000 and Nifty above 10,800. Experts feel that barring a disastrous result in the second week of December the momentum should continue.